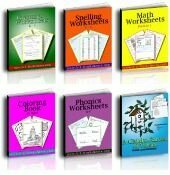 Hundreds of math practice worksheets: Copywork, charts, flashcards. 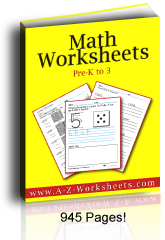 Using math practice worksheets is easy and fun. They take the work out of teaching kids to memorize the addition facts. 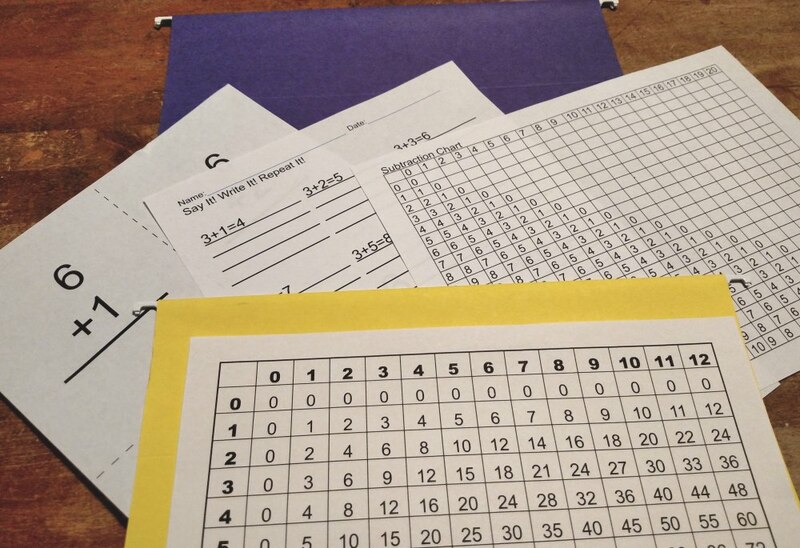 Time for practice is the biggest question, and these printable math worksheets are the answer. Your kids can copy the equations three times from our printable worksheets. Also our worksheets are formatted so that kids can type right in the files, so that you do not have to print their work. Simply copy the file to each student. Easiest homework assignment on the planet. Want a print out? Simply print from the children's files. You can also review or quiz with our printable flash cards. At first, when children are learning the addition facts, they're making a big step . They're not just naming or counting numbers now, they're combining the terms to learn new numbers and they are learning the principle of equality. They're learning to say the names of the symbols in the equations. They need to be able to say, "Two and two are four." instead of, "That's a two." or "one, two, three, four, etc." It takes a bit of practice to make this easy. Addition is fast counting and kids like to learn the short cut. The sooner that your students find the time to really practice or review the basic equations, the easier it will be for them to learn addition. Have patience teaching early addition. This, in my experience, was the hardest table to teach. After kids are used to the equations, it is usually MUCH easier for them to learn subtraction since the same terms and numbers are involved. The following is a glimpse of what I have done to make the learning more effective. On one of the next pages you'll find our printable addition flash cards, a reference chart and twelve printable Math worksheets. Simply print them for the children to copy the equations. The addition Math reference chart is handy for kids to keep in a binder or to hang near where your students do their homework. I have notes on both the addition and the subtraction pages for what has worked for me. Teach the terms first and show them on the board. Start by showing your children the answer side of the flash cards to make sure that they understand and can say the equations with the answers. This is especially important with addition as many students are not yet familiar with the vocabulary of an equation. Use the videos for review. Then show them how to copy the equations on the addition Math worksheets three times. If your students say the words at the same time as they write them, they'll memorize the answers more easily. It may seem like it takes more work at the beginning, but it will save time through the months, and they'll already have the habit when it comes time to learn subtraction or multiplication. Assign the addition worksheets frequently enough that the kids can memorize the facts. At the beginning, it's good to practice four or five times a week. Reviewing the Math facts daily makes them easier to memorize, especially if you keep it quick and frequent. On the next day, flash the non-answer side of the flash cards to see if your students know the answers. If they do, they can move to the next table. If they don't, or if they miss a card, simply have them repeat your saying it - three times and you can assign the worksheets again. Do this for each new table till your students can answer most of the equations easily. Total mastery is not necessary as they'll be practicing the facts with all of their future assignments and will eventually "get it". Keeping the addition Math review short and sweet makes the next review seem more easy. Kids do not dread the effort. I've spent years helping children memorize their facts, and have found that writing the equations while saying them out loud is so helpful. Keep it light and quick and the habit will be easier to form. Seriously, the only "work" involved here is the copying and thinking. No guessing and no giant grading project necessary for you. Addition and subtraction facts and are covered at the links below and you can see many more on our main pages for all four Math operations. Since this is basic Math, you can use our Math practice worksheets and flash cards with any school or home school Math curriculum.